First in Proactive Dental Care. Willamette Dental of Washington, Inc. is pleased to offer you Willamette Dental TrueCare Washington. This policy is true individual dental insurance that offers two options for coverage for your dental care needs. With both options, you enjoy no maximum to the amount of dental services that this policy will cover and there are no deductibles that need to be met. Your coverage gives you simple access to dental care. On both plan options, routine and preventive services are covered with low copayments. Major services, such as crowns, bridges, and dentures are covered following a six month waiting period at substantial savings with predictable costs. Coverage for orthodontic treatment is available to both adults and children after a six-month waiting period. 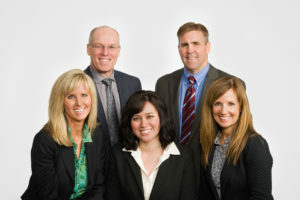 To receive benefits, you must receive your care at a Willamette Dental Group, P.C., dental office. An advance appointment is required to receive care. To schedule your dental appointments, call the Appointment Center at (855) 433-6825. When you speak to a Willamette Dental representative or arrive at the dental office for your appointment, simply identify yourself as a Willamette Dental TrueCare Washington member. You will then receive dental care in accordance with your plan. Most dental offices are open Monday through Friday, 7 AM to 6 PM, and occasional Saturdays. Click on the navigation tabs to the left for additional rates, benefits & enrollment information.